It is always best to have a business plan set up if you are approaching the bank or investment, even a mentoring support program, for help and support . The question is what to include in the business plan however. Firstly it needs to include your business name, even if it is just a proposed name, your business address and contact details. If this a proposal for a new company you may not have these details so it is best using your personal details and further in the plan note where you would prefer to be located and possible ideas for email addresses, i.e Info@yourbusiness.co.uk or yourname@yourbusiness.com. This is also the section in which you need to identify all those that will be partners in the business with you. Secondly is your executive summary, a short paragraph no more than about 100 words that explain the main basis of your business, services or products you intend to offer and main customer base. This is then followed by a little back ground in to why you wish to run this business, this needs to show that this business is not just a random idea, that you have thought it through and are capable of providing the type of experience your customers will expect from your type of business. Any relevant work experience and qualifications gained or in process of obtaining are needed here to back up your ability to run the business. Section 3 looks into what your business will provide to its customers, whether this is a service, product or both. A description of the basic product/service offered and then a more in depth description advising of other products/services available including any modifications applicable to the product/service. If for whatever reason these services/products will not be available straight away then please note them in this section so those looking at your business plan can understand why. Section 4 requires you to look at the market in which you are planning to approach, in other words your customer base. Are they individuals, businesses or both? If you choose businesses to approach then it is best to specify what type of businesses, for example RedRite is aimed prominently towards small businesses and tradesmen who require help with their paperwork without office space. A location of where you prefer your customers to reside and what will have them choosing your company over others. If you have any customers awaiting to purchase your products/services then listing those here may help to show an interest in your company already. Section 5 looks at your marketing strategy, at how you intend to interest your customers and attract new ones. Looking into which social media sites to use, the best type of website needed and any other forms of marketing you may use. If you have already advertised your business then list them so that it can be seen where interest is currently coming from. Looking into your competitors and how their strategies compare to what you are currently doing or plan to do. A SWOT analysis may also be used here. Section 6 involves disclose your prices and logistics information. For products sold this will include the stock price and the items they are sold for, any postage costs if items shipped to the customers. An estimated profit margin allows the reader to see how realistic your prices are and will help further on in the financial planning stages. For services, this would look more at the hourly or set rate for each service, it will also include if there are items needed in order to begin trading. Depending on the intensity of business plan needed this can also include insurance and legal costs, as well as those for staff members. Once you have determined the main logistics of your business, you need to look at the finances of it all in more detail. To determine if your business will be profitable for you it is necessary to look into your incoming and out goings. There are many spreadsheets available online to help with this section but it is just as simple to create your own similar to the one below. Some banks and investment firms will also want to see cash flow and cost projections, once again a simple table is all that is need for this. 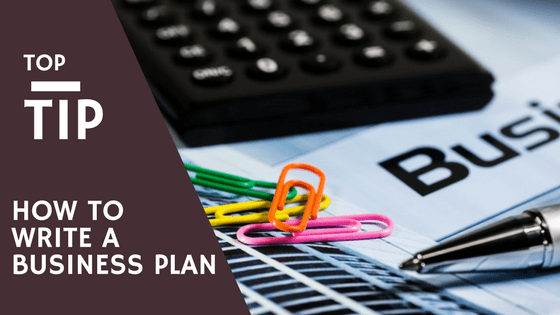 The final element of a business plan requires you to prepare a short and long term plan for the business, including any expectations of expansion or change in the services provided. Having a plan B in case initial things do not work out is essential and informing the reader of this shows you have accepted there may be bumps in the road but you are prepared for them. Still unsure how to prepare a fully acceptable and relevant business plan then get in touch and we can help you get that bit of extra funding or support your business needs.